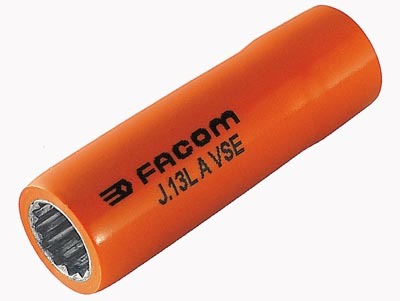 Facom 3/8" Drive 1000v Insulated Deep Socket. Sockets should be used with an insulated ratchet/torque wrench, T-handle or other insulated driver/extension (from Facom, Cementex or Salisbury) to ensure adequate protection. Suggested Retail-$28.60 Limited quantities.